Used for all types of industrial applications, particularly for installation in tanks and pipelines for measurement in liquid and gases media. Generally combine with thermowell. W/ or w/o electrical contacts offers many possibilities for applications. 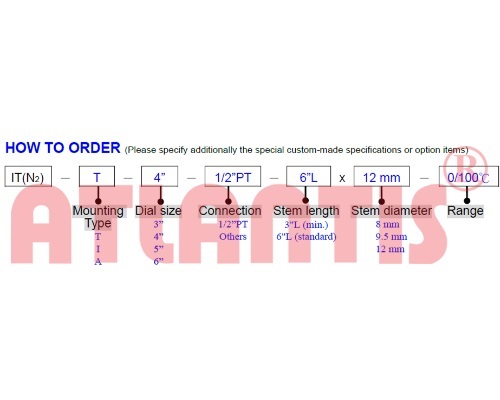 Dial diameter：3"; 4"; 5"; 6"